The VapeOnly Malle S Lite kit comes with a Malle S Lite Case(without battery) and two pieces build-in 180mAh battery e-cigarettes. The Malle S Lite kit is super portable for daily use and the small size is easy to carry in the pocket. Available in Black, Golden, Pink and Silver colors. The VapeOnly Malle S Lite kit comes with a Malle S Lite Case(without battery) and two pieces e-cigarettes. The Malle S Lite Case or Box is made of PC, ABS and Aluminum materials. The size is compact for pocket carry. The e-cigarettes that included are build-in 180mAh batteries with easy bottom refilling atomizer. The e-cig materials are stainless steel tube, glass, brass and silicone. The Malle S Lite kit is super portable for daily use. Black, Golden, Pink and Silver colors are available. • It doesn't come with battery, you need to buy separately. 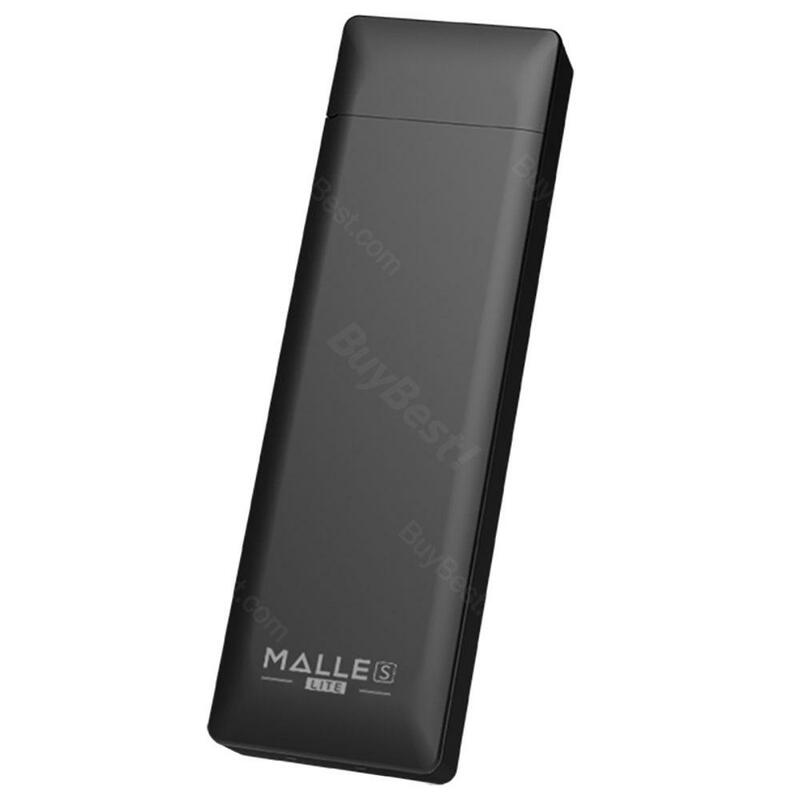 • The replacement Malle S Lite Charging Box, battery, atomizer and coil are also available in Buybest. fast shipping. funny little ecig and I love it being little and tiny. love the special design of it, makes it like a lighter, shipping was fast and productis decent. Would recommend! Everything else is great, just I wish I could hold more juice. Top quality and one of the unique E cigs in the world.